When you take your car for a service, for the great majority of cars, the mechanic will use an electronic diagnostic tool to see if there are any previously recorded problems. This is carried out through using diagnostic software which accesses the car’s engine management system where any problems are monitored and faults are logged. The benefit of performing a car diagnostic test, it may reveal a range of problems associated with the car’s transmission, oil tank, petrol tank, exhaust system and various other components of the car, without the timely need to inspect the car in great detail. It pinpoints where the problem is located allowing the mechanic to efficiently resolve the problem saving the customer time and money. Many modern cars now come with computer processors, microchips and sensors which can be linked to a car diagnostic computer scanner at a dealership or at the garage of a certified mechanic. At Demon car clinic we can carry out vehicle diagnostics for all car makes and models. What are the Main Benefits of Vehicle Diagnostics? We briefly touched on one of the key benefits earlier, to reiterate it enables a mechanic to more easily identify problems and repair them as quickly as possible. This means the customer is not charged for the mechanic’s labour trying to physically inspect the whole of the car looking for the problem. Additionally, it can be a preventative system warning of potential problems allowing them to be fixed before they become major costly problems. Most modern cars can generate many fault codes which get stored in the vehicle’s memory system, therefor it can be useful to book regular diagnostics as a preventative measure. Which areas of a vehicle are covered by a Car Diagnostic Test? 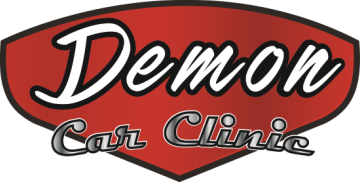 The car diagnostics software we use at Demon Car Clinic can typically tell you about the following areas for most vehicles – ignition timing problems, issues with the vehicle engine, the performance of the fuel injector, firing of the ignition coils, engine rpm levels, air and coolant temperature, crankshaft and camshaft position and throttle opening. This means that any car auto repair items can then be identified and rectified if necessary. How often should I get my car tested using car diagnostics? We usually advise you to have a car diagnostics check-up if you are worried or concerned about something, or if you have a warning light showing, we can then sort it out quickly and carry out a car auto repair if necessary in order to get you back on the road as quickly as possible. However, for most cars we would recommend a vehicle diagnostic check at least once a year.